11 Dec Should We Stop and Count our Blessings? Today is December 10th, my little brothers 21st birthday. Currently he is serving in the Philippians as a full time volunteer for the Church of Jesus Christ of Latter Day Saints. Earlier this week the Philippians were hit by typhoon Hagupit. Twenty seven people were killed and tens of thousands of houses were destroyed. However this typhoon was a walk in the park compared to what the people of the Philippians went through this time last year when they were hit by Typhoon Yolanda. Eventually we were able to talk with him on the phone. His firsthand account of the devastation brought to this third world country was heartbreaking. Dead bodies lined the streets. Children left parentless looking for food. Most areas did not have fresh water for days. Entire towns were destroyed, houses were leveled, and lives were destroyed. 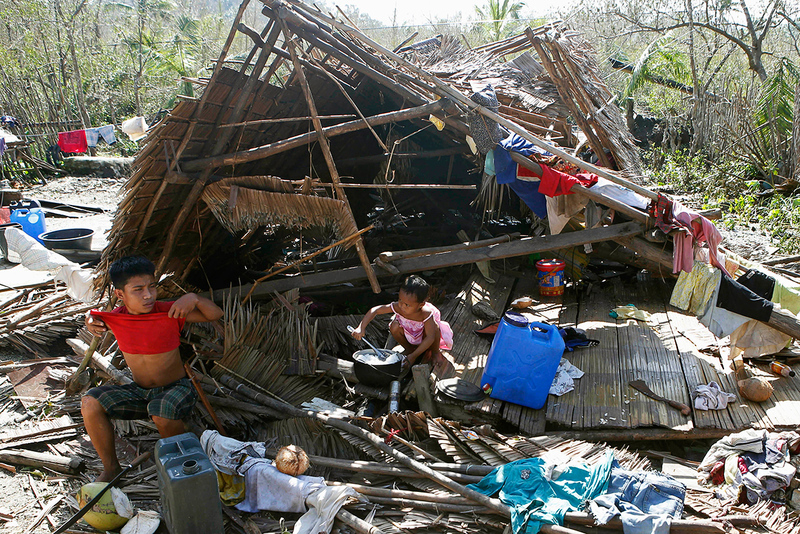 The Philippians were still recovering from Yolanda when they were hit by Hagupit. Though this most recent storm was not nearly as powerful the people of the Philippians still suffered a big loss. Families lost their homes. Fresh water and food is still scarce and power still has not been restored. As I thought about Blake’s birthday today I couldn’t help but compare the life we have here in America to the life that most lead in the Philippians. The reality is that even when power is back and houses are rebuilt the people of the Philippians will never know a life like we do here in the United States. At this Christmas time when we talk about gifts given and gifts received I hope that we can take a moment and recognize what an amazing gift it is to live in this country. America was founded by men who recognized that a right is not something that is granted by a ruler or body of government but rather something that every individual was granted at birth by God. America recognizes that government’s role is to protect those rights. America’s values include religion, family, freedom, and education. Much of our culture revolves around these values. Our government protects our rights to worship as we want, to have a family, and to pursue our educational and professional goals. We have the opportunity to succeed if we choose to. Many people in other countries around the world will never have that opportunity. Other nations control their people’s religious activities, the size and make of their family, and they are not allowed to pursue their goals. And in some countries, like the Philippines, many of the people live in huts with dirt floors. On Christmas morning the majority of American children will wake up to presents and candy. Children in other countries may never know what candy is. Thomas Jefferson stated, “how little do my countrymen know what precious blessings they are in possession of, and which no other people on earth enjoy!”. There are many Americans who continue to criticize America. There are many who bash the “American Dream”, claiming that America was a failed attempt at something great. I, however, believe that living in America is one of the greatest gifts that I will ever receive. I will be forever grateful for this country. Happy birthday little brother and merry Christmas America.